Cavalier Homes Bendigo director Leigh Moore is passionate about providing a personalised service and exceptional quality for your new home. With almost 20 years’ experience in the building industry, Leigh established the Bendigo franchise at the start of 2009 and is well supported by the Cavalier Homes Australia group. Every home under construction is inspected by Leigh on an ongoing basis. The quality finish will meet not only Leigh and Cavalier Homes’ high standards, but most importantly, it will meet yours. 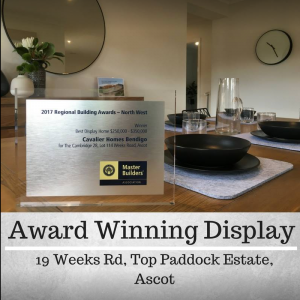 If you’re considering building a new home in the Bendigo, Maryborough, Kyneton, Castlemaine, Maldon and Hepburn Springs areas, get in touch with Cavalier Homes Bendigo and experience the difference first-hand. Call one of our friendly sales consultants to arrange an appointment today! Cavalier Homes Bendigo. Real Homes… Real People.